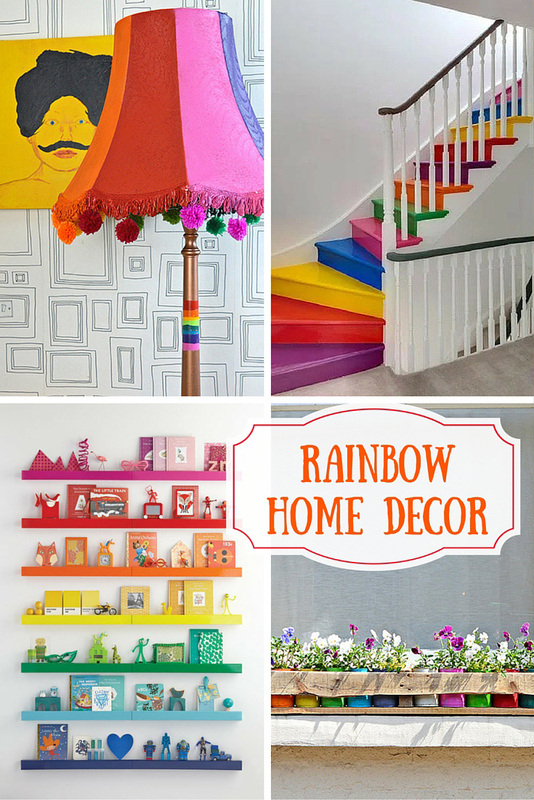 I’ve rounded up 12 of my favourite rainbow home decor ideas for brightening up your home. 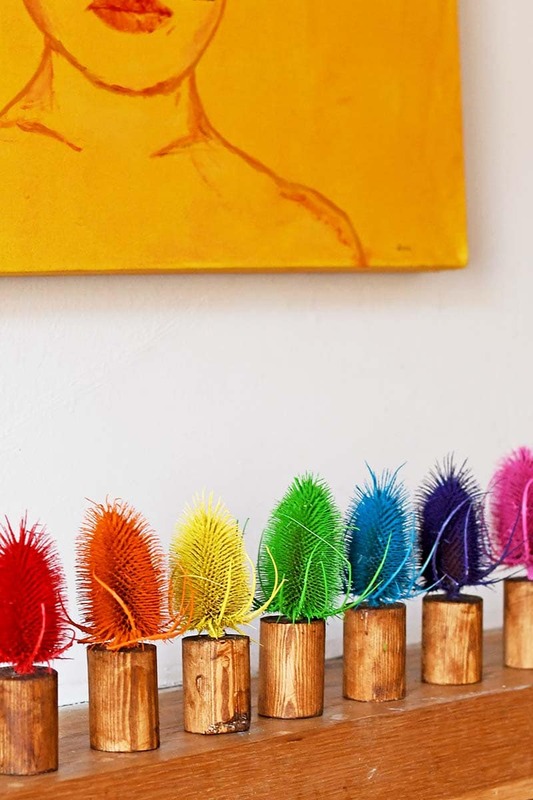 I love to decorate my home with splashes of colour and you can’t get a brighter more colourful splash than a rainbow. When I see a rainbow, whether it’s a real one or one in the home, I can’t help but smile. I’ve even added a bit of rainbow home decor to my own home. I re-arranged the books on our bookshelves into a rainbow based on the colour of each books spine. It immediately brightened up the room and makes everyone who notices it smile. My husband had to admit it looked good even though it’s not how he’d usually sort the books. 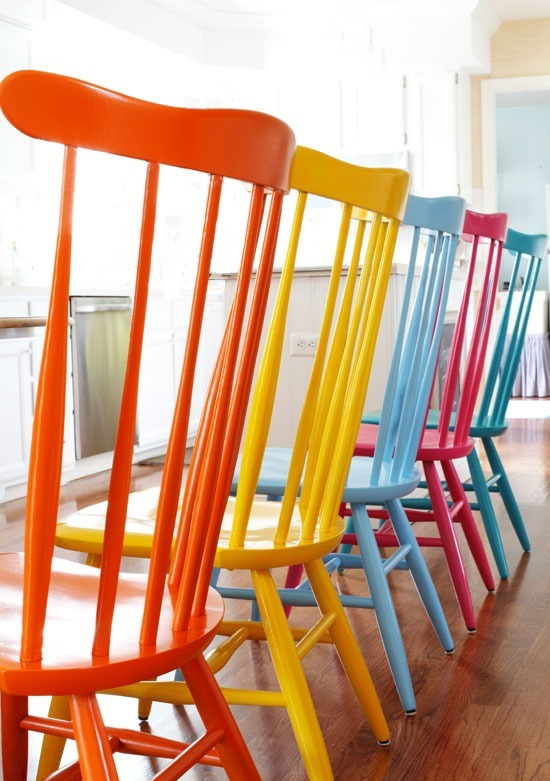 Instead of having your dining room chairs all the same, why not spray paint each one a different colour to make your own rainbow home decor. You could always go for a dramatic rainbow in the hallway by painting a rainbow stairway. 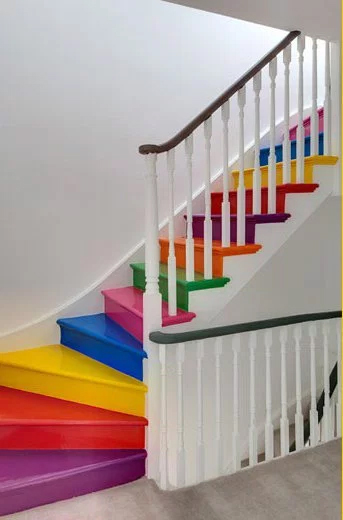 I’m in the process of revamping my own stairs and I am tempted to do this. 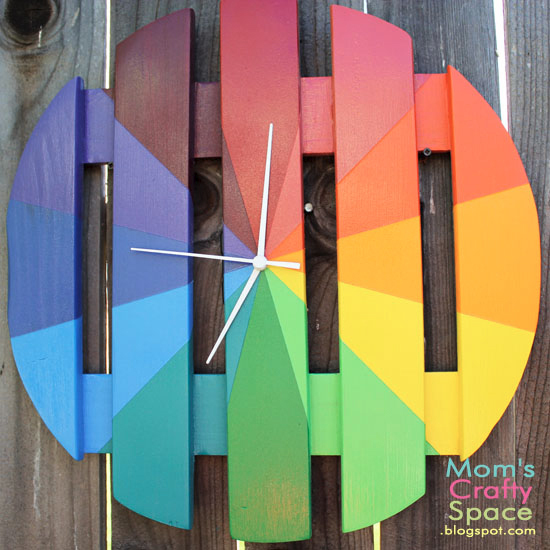 This must be one of the easiest ways to add a rainbow, not a spray paint in site. 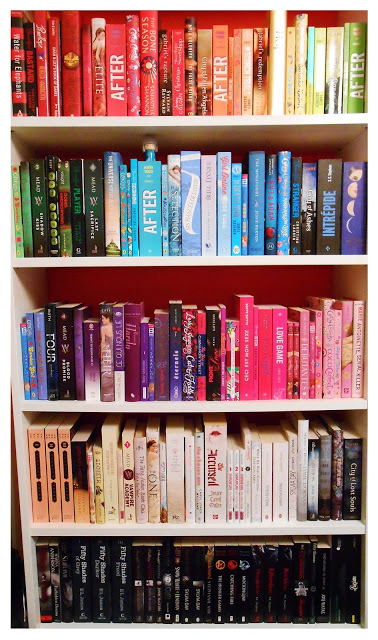 The books in my living room look very much like this, I think we even have the same Billy bookcase. This was one I did myself, so easy to do. Who knew spray painting a lampshade would look so good? I love a colourful pom pom too! 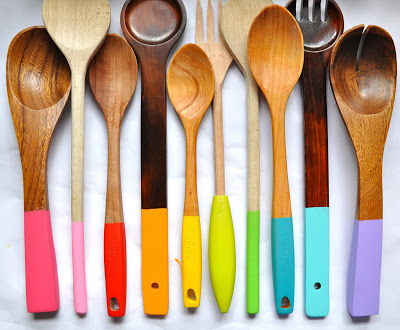 For a hint of a rainbow home decor in the kitchen, paint dip your utensils. 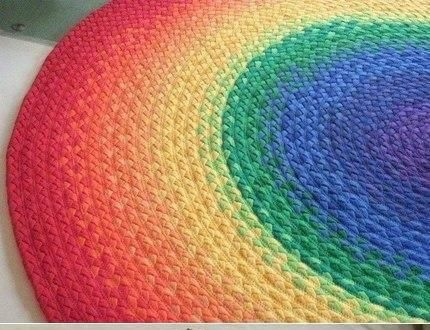 Upcycle some old t-shirts and crochet your own rainbow rug. This is one colourful shelfie! 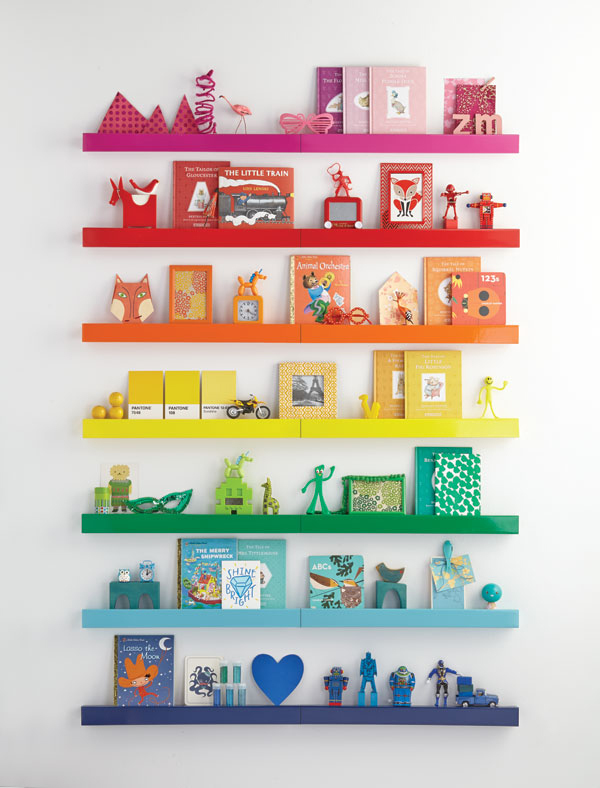 These rainbow shelves would look great in a kids bedroom. I love the coordinating ornaments. 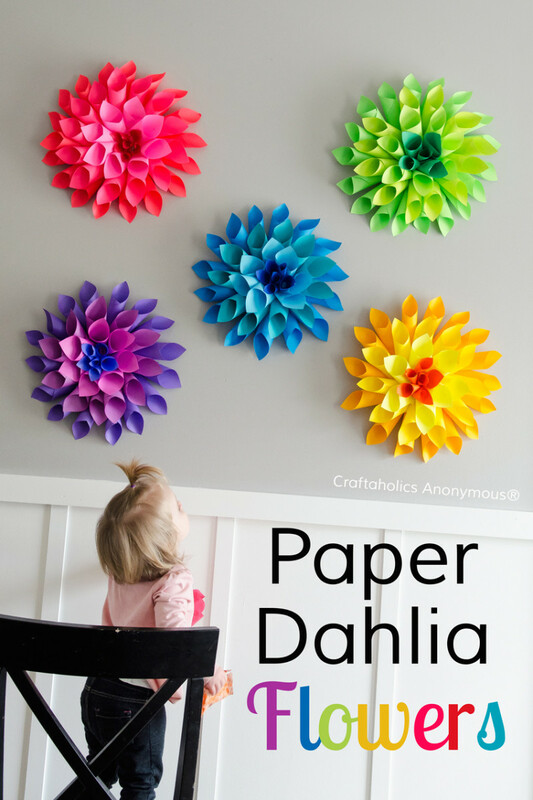 These paper flowers are just gorgeous. 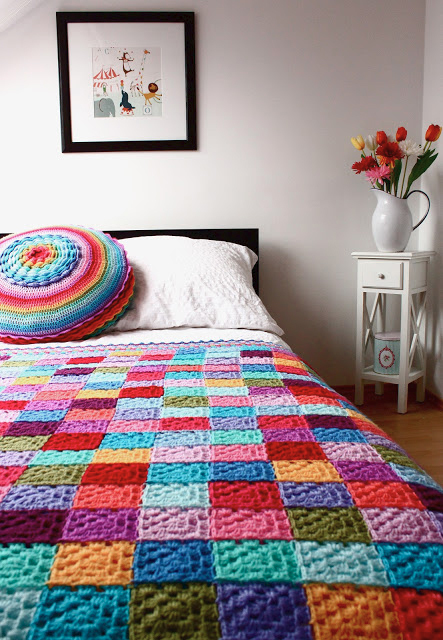 Brighten up the bedroom with this colourful granny square bedspread. This is another one of my rainbow home decor crafts. I told you I was a sucker for rainbow home decor. These thistles are so easy to make. This clock looks like great fun. I’m not sure how easy it will be able to tell time though. 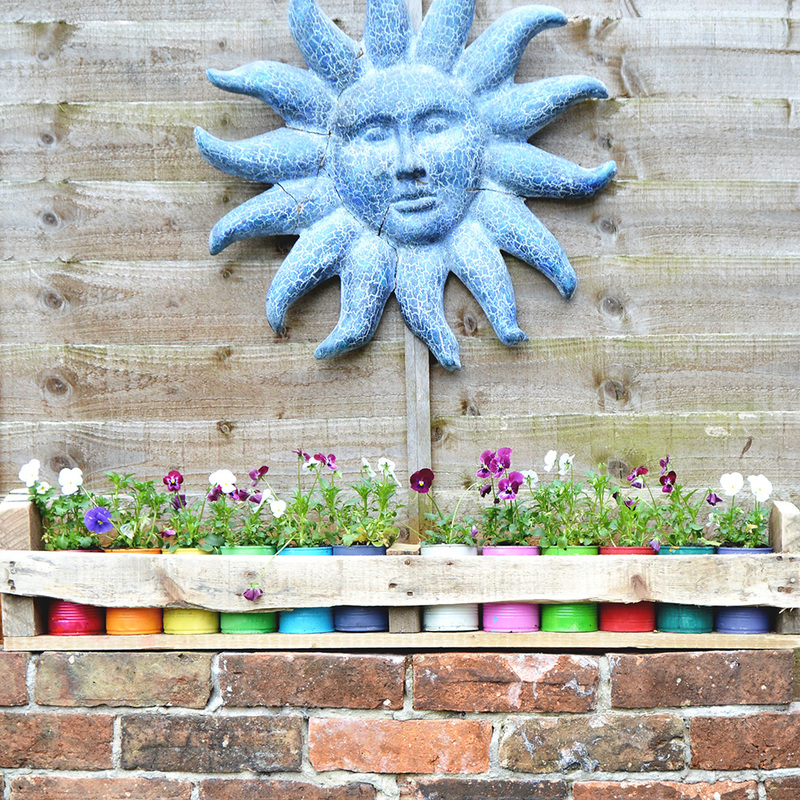 You can take your rainbow home decor outside and make a colourful upcycled tin can planter. If you liked this post you might enjoy some of my other fun home decor round ups. Wow! Something different I found here. how beautiful the colors are looking… and I really like all the things. but especially I love the wall clock it looks really beautiful. Thank you, the clock is cool. Thank you, they will make your home bright and cheery. So many great rainbow ideas! I love the chairs, clock, and shelves! Thanks for sharing at Submarine Sunday! Ooooh these are great! I love a bit of colour around the house! There are a couple here I think I can try. What kind of spray paint did you use on the lamp shade, is it a special kind for fabric? Thanks ! i used Montana gold acrylic spay paints and it was just a normal lamp shade. Those rainbow stairs rock! Not that I’d do it, but what a bright addition to the house! Thanks ! Yes the stairs do look amazing but you’d have to be brave to do it yourself. These are all so great, it’s almost hard to find a favorite! Makes you instantly happy! Visiting from Happiness Is Homemade party. Thank you ! 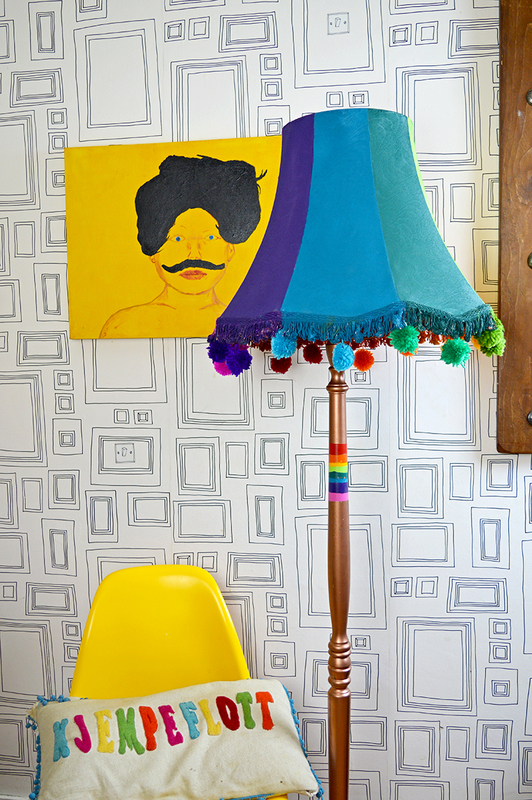 There’s nothing like a bit of colour to bring some cheeriness to the room. Love the rainbow books! I have color coded my DVD’s and music CD before as well as the clothes hanging in my closet. My craft room has all the paper, brads, buttons and doodads color coded too. That sounds fantastic ! I bet it all looks awesome.